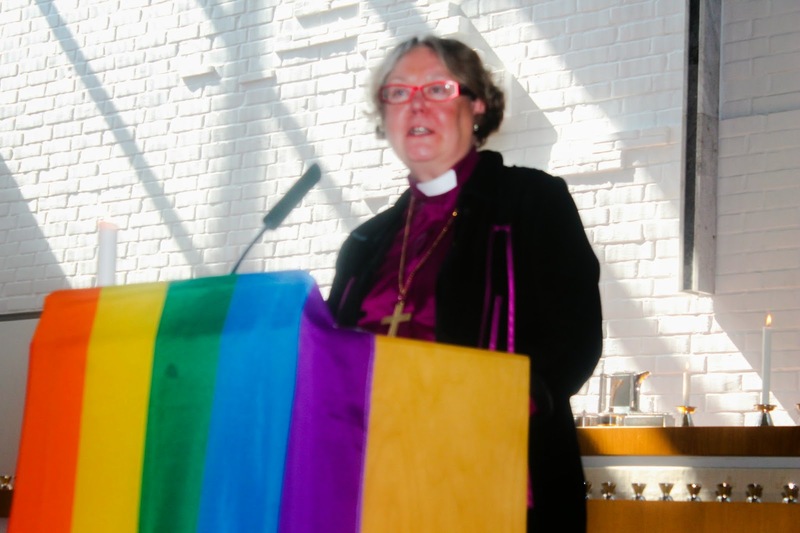 Today I attended the European Forum of LGBT Christian groups mass in the Church of Alppila, Helsinki. Sermon (lutheran) Bishop Irja Askola stated that ”welcome” is the most beautiful word from our Lord. I felt welcomed. I also as a gay mormon feel welcomed in my own ward, by my bishop and by brothers and sisters. There was a situation when an anonymus person sent me, and our bishop e-mails saying that I am not a worthy member in the church being homosexual. We talked about it with the Bishop and he brought up our churchs view in a fifth sunday lesson. I am thankful for that and I have many times in my heart forgiven the person sending the e-mails. With love and understanding our Church reaches out to all God´s children, including our homosexual brothers and sisters. Thank you for writing, Johan. Glad you liked what our bishop said. She is a brave woman.